Happy Independence Day! We are halfway through 2014. Can you believe it?? My kids’ summer vacation has flown by, but we are certainly making the best of it. Today marks our country’s 238th birthday! Hooray! Happy birthday, America We are celebrating it with a cookout and sparklers at our house. What are your plans to celebrate the holiday today? Do share! And it’s time for July’s new releases! I’m currently reading two books: Who’s Buried in Grant’s Tomb? : A Tour of Presidential Gravesites by Brian Lamb (not a July book), and The Secret Diary of Lizzie Bennet by Bernie Su and Kate Rorick (a July book). The first has me fascinated and the second has me entertained. Both are great books! I’m looking forward to reading Then Cam You by Jill Shalvis, The Game and the Governess by Kate Noble, and Straddling the Line by Jaci Burton. Which July releases have you read? Of those, which ones do you recommend? Which ones are you most looking forward to reading? Tell us and one lucky commenter will win a random book from my prize stash! I was lucky enuf to get several contemp books from my wish list in the Christmas in July book swap that I run every year and I also picked up several with a g.c. that I had. I really look forward to The Promise by Carr. Ones that are still on my wish list that I cant wait to read is Christmas in July by Debbie Mason, How to Marry a Cowby by Carolyn Brown, Then Came You by Jill Shalvis and Sheila Roberts' Tea Shop on Lavender Lane. Glad to see the contemporary list soooo long. LOL. I've already enjoyed The Perfect Trade by Anna Sudgen and am really looking forward to The Captive by Grace Burrowes (and especially all the other historicals) and Jill Shalvis too. I’ve already read The Escape – Mary Balogh, Vixen in Velvet – Loretta Chase, Lady Windermere’s Lover – Miranda Neville, The Game and the Governess – Kate Noble, Return to Homecoming Ranch – Julia London, Until We Touch – Susan Mallery, Suddenly Last Summer – Sarah Morgan, Never Been Kissed – Molly O’Keefe, No River Too Wide – Emilie Richards, The Tea Shop on Lavender Lane – Sheila Roberts, On Sunset Beach – Mariah Stewart, A Perfect Trade – Anna Sugden, Something Sweeter – Candis Terry, Wild Iris Ridge – RaeAnne Thayne, and The Beekeeper’s Ball – Susan Wiggs. The book I’m reading today—Mr. Miracle by Debbie Macomber-- is an October release, but The Wickedest Lord Alive – Christina Brooke, The Captive – Grace Burrowes, Where the Horses Run – Kaki Warner, Then Came You – Jill Shalvis, and One Lavender Ribbon – Heather Burch are on my Kindle. 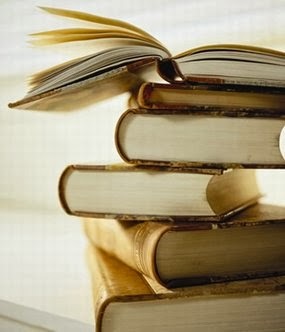 I will read them soon. And The Summer Queen – Elizabeth Chadwick, The Secrets of a Scoundrel – Gaelen Foley, A Lady of Notoriety – Diane Gaston, The Stories We Tell – Patti Callahan Henry, Delicious – Adrianne Lee, Best Supporting Role – Sue Margolis, Christmas in July – Debbie Mason, The Texan’s Cowgirl Bride – Trish Milburn, One Plus One – Jojo Moyes , A Change in Altitude – Cindy Myers , Landline – Rainbow Rowell , The Girls of August – Anne Rivers Siddons, Riding Hard – Vicki Lewis Thompson, The House on Mermaid Point – Wendy Wax, and The Secret Diary of Lizzie Bennet – Bernie Su & Kate Rorick are all on my TBB list. So many sensational summer reads! I've read Grace Burrowes' newest, The Captive. It's a lovely, evocative story of lost souls finding their way. I highly recommend it. There are lots more on this list I want to read, including books by Balogh, Chase, Mallory, Shalvis, Bush and Estep. What a great month for readers! I've read When Day Breaks, Sweet Revenge, and Better Homes and Hauntings - all great!! Looking forward to: The Longest Night, Betrayed, Then Came You and Viper's Run. 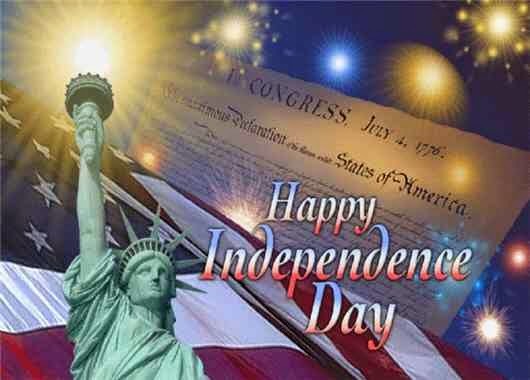 Happy Independence Day to all the Americans!! I'm just going to add all of the Historicals to my reading list. I don't want to miss any. I read Vixen in Velvet by Loretta Chase and For the Longest Time by Kendra Leigh Castle and they both were very good. I'm looking forward to The Game and the Governess by Kate Noble, The Escape by Mary Balogh, and Where the Horses Run by Kaki Warner. Especially want to read the new Balogh, Chase, Noble, Burrowes and Neville. I've read Wild Iris Ridge by RaeAnn Thayne. It was really good. Tons of my favorite authors in this list! Looking forward to Christmas in July and How to Marry a Cowboy. I recommend Straddling the Line and Suddenly Last Summer. My Goodness! Your monthly list is getting longer and loooooonger! !